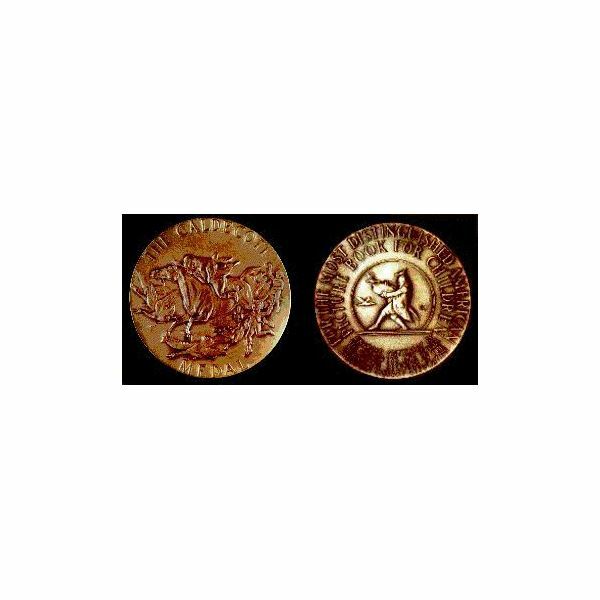 The Caldecott Medal and the Newbery Medal are the two most distinguished honors awarded to children's literary works every year. The organization responsible for bestowing these honors is the Association for Library Service to Children – also referred to as the ALSC, and a division of the America Library Association. Here, we take a closer look at how each of these honors originated, and identify the lists of Caldecott and Newbery awards winners from the inception of each award to present-day. 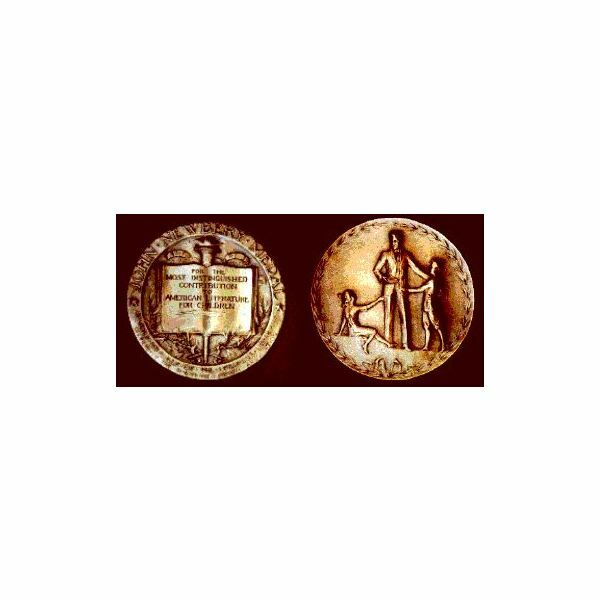 This medal was first proposed by Frederic G. Melcher – at the time, a major figure in the book industry and library science field – at a meeting of the Children's Librarians' Section of the American Library Association (ALA) in 1921. The idea was to produce an award which would give librarians the opportunity to recognize American authors producing "original creative work in the field of books for children." 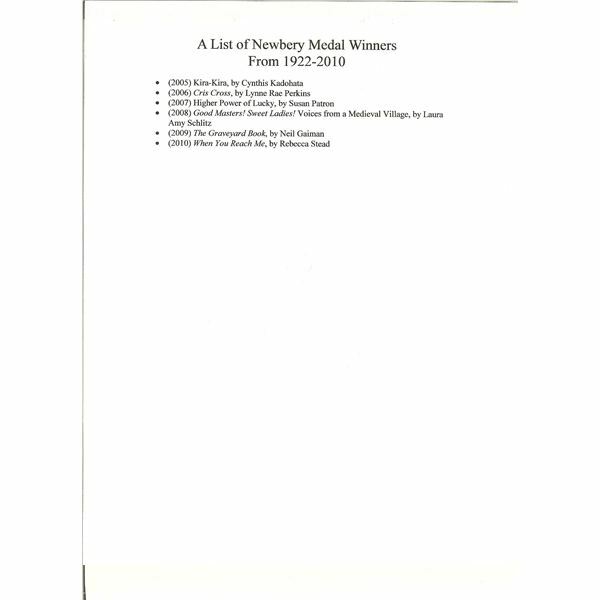 It was Melcher who also suggested that the award be named after John Newbery (1713–1767). Newbery was an eighteenth-century English book publisher who is credited with being the first to suggest books created specifically for children – including the concept of picture books. 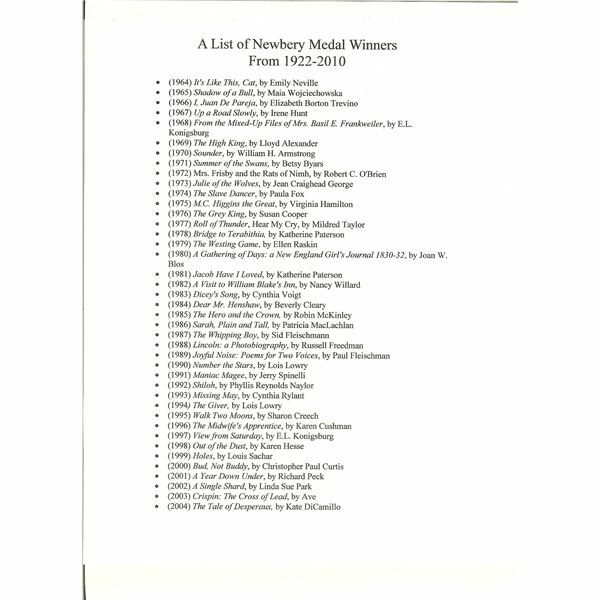 In keeping with John Newbery's passion, the Newbery award was the first one in the world to be given for children's literature. The medal is made of bronze, and has the winner's name written on it, along with the date the award was received. It is also in-scribed with the name of the organization first responsible for administering the honor – The Children's Librarians' Section. Criteria for the award may be found by visiting the ALA's website. 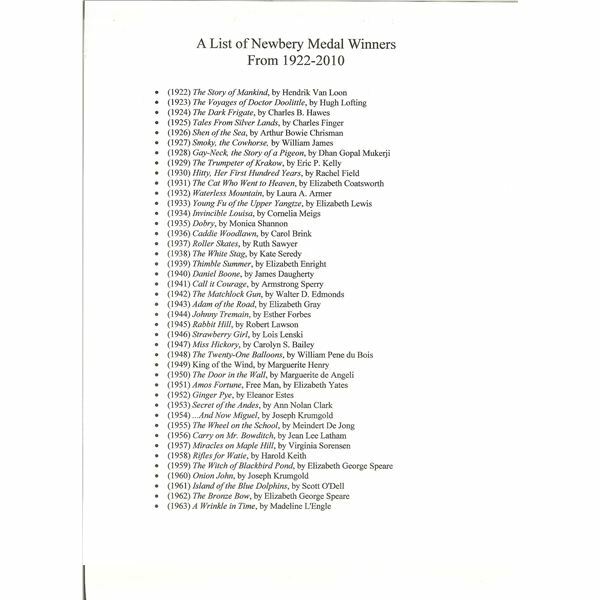 In the media section directly below, you will find the list of Newbery Medal winners since the award began in 1922.
contributions, even though they were just as deserving of an award as were children's authors. So, in 1937, Frederic G. Melcher proposed a second annual medal. This one would be given to the artist of the most distinguished American picture book for children. The medal is named for Randolph J. Caldecott (1846-1886), a nineteenth-century Englishman who was also a famed illustrator of books for children. The image gracing the front of the Caldecott award was taken from one of Randolph J. Caldecott's own illustrations. Like the Newbery award, the medal is made of bronze and is inscribed with the name of the winner, as well as the date the award was made. 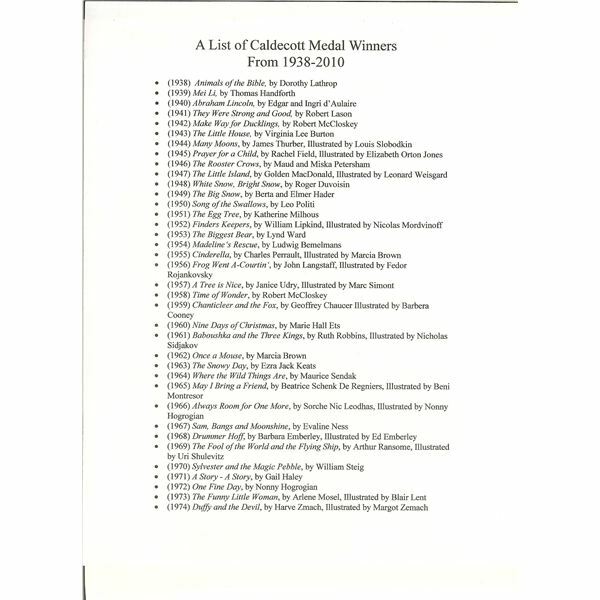 In the section directly below, you will find a list of Caldecott Medal winners since the award began in 1938. At one time, it was impossible for a book to hold both the titles of Caldecott and Newbery Awards winners. In 1978, however, that portion of the original decree was rescinded. 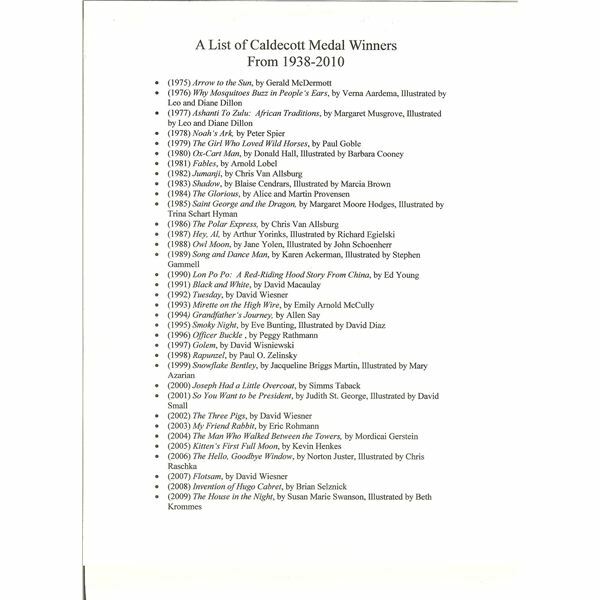 Beginning in 1980, all books by American authors and illustrators were able to be considered for one or both awards. Readers will be certain to recognize many of the book titles and names in the list of Caldecott and Newbery awards winners. This is because they are still beloved children's classics of today, and are often used in classrooms around the world.